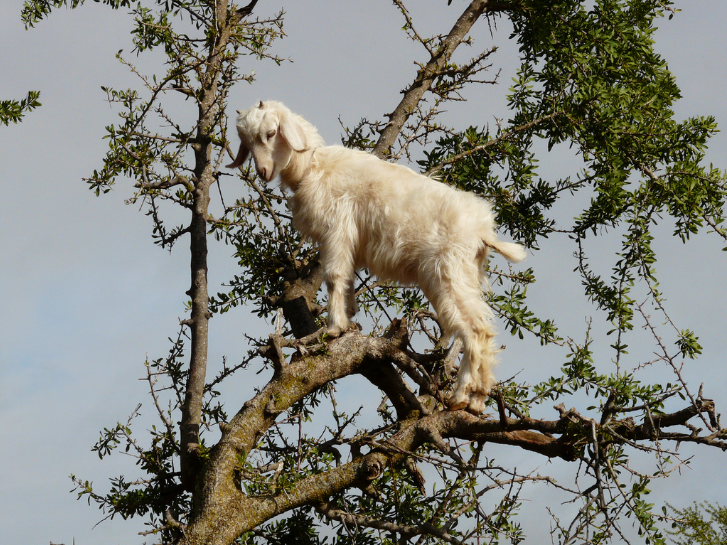 Not only do goats eat just about anything, they can get anywhere. If you’ve ever panted your way up a mountain, you might have seen a goat happily ambling up rock formations that you’d want ropes to navigate. They’re sure-footed, and don’t seem to get dizzy. 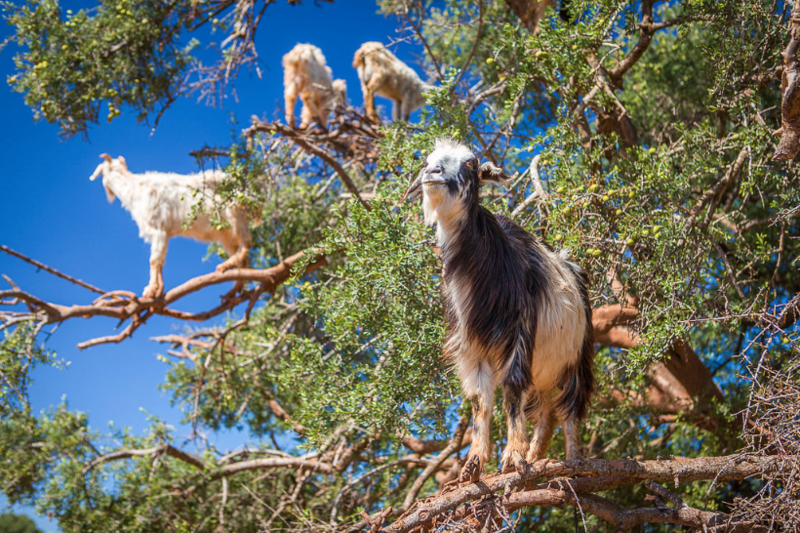 Still, the sight of goats stood in a tree in south-west Morocco is sure to surprise. Look at them! 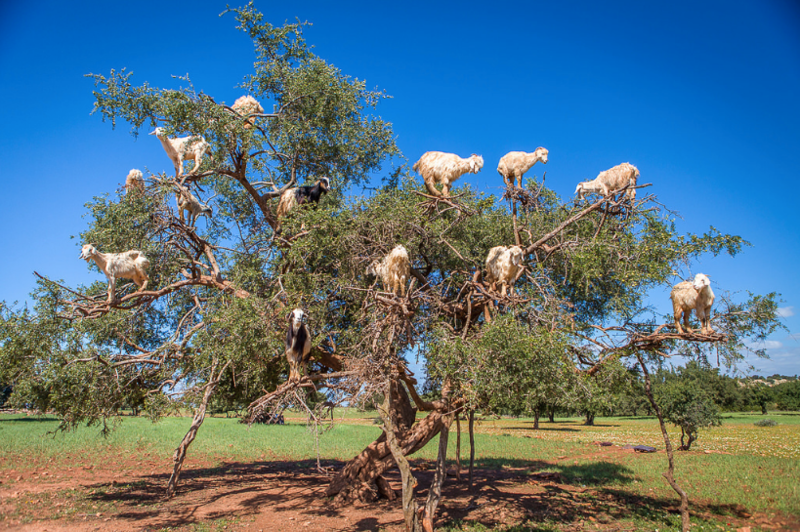 Perched on the branches like hairy, bleating apples. Except there is already a fruit on this tree, that’s why they’re up there. 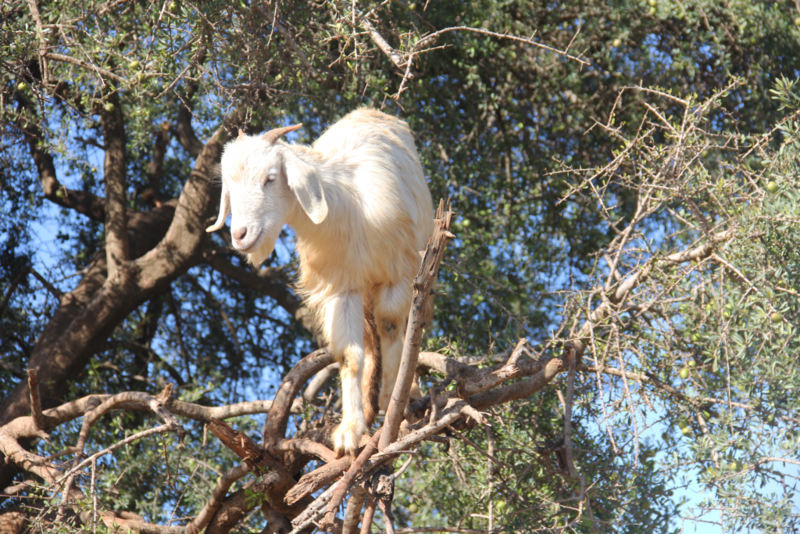 The tree in question is the rare Argania spinosa, which brings forth a semi-sweet fruit that the goats find simply delicious. The seed of the fruit can be pressed to make Argan oil, or ‘liquid gold’, which is a highly sought-after ingredient in modern-day beauty products thanks to the many health benefits it has been found to offer. Originally, people relied on the goats to eat the fruits and poop out the seeds, where they would then be collected. Yuck! Nowadays, women’s co-ops gather the fruits straight off the tree, cutting out the middle-goat and its intestinal tract. 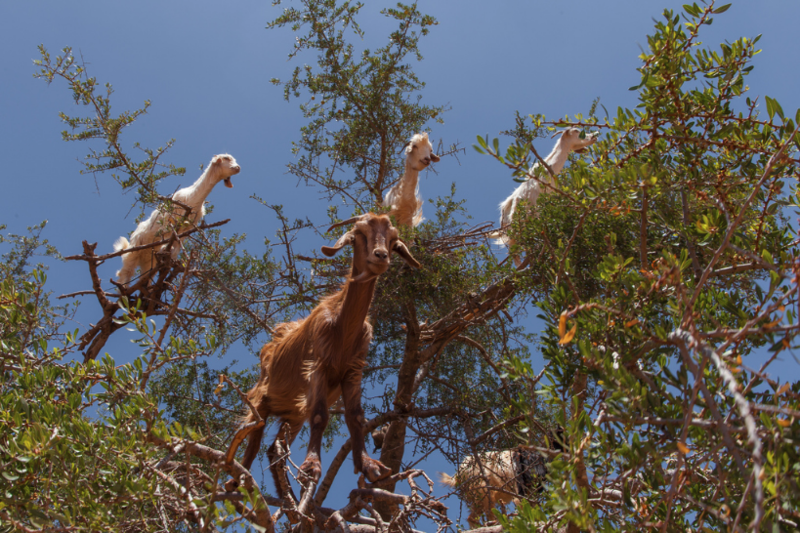 The sight of these goats gives me an idea. I’m going to decorate my Christmas tree with a variety of kittens. What could go wrong?